Last week, Facebook has been busy rolling out their new feature for all publishers. Yeah, right after rolling out the same feature on Instagram. It's not a secret that Instagram users were excited about embedding photos and videos. I've been witnessing embedded Instagram images on some blogs and websites I stopped by recently. Now, it's on to the Facebook and made available for everyone. Were you excited to know it's on Facebook too? The Google+ social platform is not just another Google service for us anymore. Online users have been embracing this social platform and its new features, eventhough some used to hate it initially and couldn't find many advantages over the leading social networks like Facebook and Twitter. It's been 2 years since Google+ started to evolve on the web and now it's enriched with pretty interesting features. Aren't you on Google+ yet? We almost know about Google+ social platform now and it's the social platform offered by Google. Google+ has been improving over time since it started in 2011 and still does as social networks are very dynamic and need to be competitive in order to survive. As Google+ emerges on the web, it has been integrating more deeper into Google products and we have been witnessing how Google+ affects on some of Google products such as Google Search, Google Reader etc. Blogger is another product of Google which comes as a blogging platform and lately it has been associating with Google+ social layer too. We did talk about adding Google+ Badge for Blogger once it has been introduced. 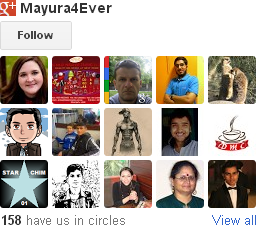 What if you can show off your Google+ followers altogether while letting readers add you to their circles? How do you get traffic to your blog? Search engines do help bring you targeted traffic to your blog. Also, your content being shared or recommended on social networks gives extra exposure and welcome interested visitors too. Talking about promotion, you can try blogging directories, groups / communities and simply allow others to share your content to spread the word. Have you? I do assume now you are much familiar with Google +1 button and it's functionality. But if you are not much into it, I'd like to elaborate. Using Google +1 button, you can recommend content on the web. We call them +1s or recommendations. The +1s made via Google +1 button acts as recommendations for your content and pages. Also those recommendations will be visible for users in Google search results too. Did you install Google +1 button for your posts in Blogger? 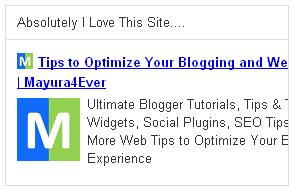 If not you can implement +1 button by reading Add Google +1 Button for Blogger Posts. When someone clicks on a +1 button appears on your blog post, in addition to increment of recommendations, it prompts to share your post on Google+ too. But what if someone just need to share your post on Google+ without recommending it? What are the social networks you engaged in? Facebook, Twitter, Google+, LinkedIn, Pinterest are popular networks you may have heard of and already engaged in. Out of all social networks, Facebook has major share among other social networks due to immense popularity they have gained over last couple of years and still progressing. So if you are trying to promote your products, services or whatever content online, Facebook is a place where news does spread fast among millions of users. Also user recommendations or likes are helpful for their friends to find your products, services or site pages. 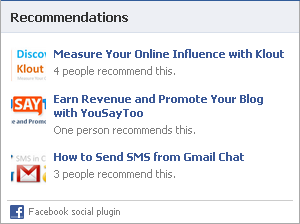 So would you like if your content, product or services get recommended and shared on Facebook to grab more attention? Google+ is a popular social platform offered by Google and started to evolve on the web from 2011. It has introduced some new unique features to social world but yet they didn't catch up Facebook, the top rival in the social media with over 800 million of population. However it's in the process of dominating social media. As the search giant, Google started to associate Google+ with search by promoting authors and showing off user recommendations with search results. How do you interact with your visitors or get feedback from them? Absolutely when we think about getting feedback, you will definitely think about commenting feature. It may available by default or you may have already implemented commenting feature on your blog or website for your visitors to send feedback, ask questions or to interact with you regarding your content. However do you like the default commenting feature available on your site? Or looking for adding commenting feature? If so, would you like to give it more stylish look and let your visitors comment via their Facebook login without any sign up process? As you publish content, share ideas and post your stuff on your blog, you expect that readers will read and enjoy them. Readers could be your friends or anyone else who matters your content. As you share interesting content on your blog, readers who would obsessed or impressed with your posts would like to share it with their interested parties too. If you care about sharing your content on social media and get more exposure on it, Facebook would be most exclusive social platform where you would put your faith on first, as it has greater chance to spread your stories. So mind if you can let your readers share your posts without leaving your blog? I hope now you are almost familiar with Google+ platform and it's features. It still growing and implement more new features in their social platform. Lately Google+ offered new features for users such as business pages, page badges and direct connect for pages. But Google+ were unable to offer social plugins for personal profiles and hence there was a high demand for 3rd party plugins among Google+ users. 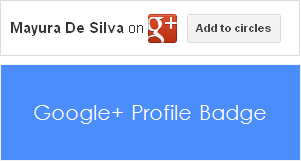 However at last, now Google+ offers a badge to represent personal profiles. So would you like to let other people to circle you without leaving your website? Have you ever heard about Pinterest? If you are interested in social media, you may already know about it. 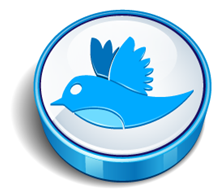 It is the new addition to social network list and becoming more popular on the social web. 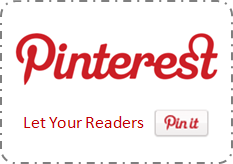 But if you are not a person in alert, I'd like to include briefing about Pinterest here. Pinterest is a place where you can share and manage online images or videos found on the web. It allows you to create virtual pinboards to categorize content you found and uploaded. These content you uploaded or added to your pinboards will called as pins once after they added to your virtual pinboards. Facebook Activity Feed plugin has been depreciated. People come visit and enjoy interesting posts or media on your website. 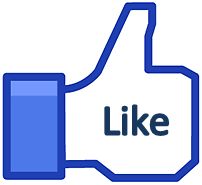 As they embrace your content, they will share them on Facebook, like them via Like button and also if you have implemented Facebook Comment plugin, they will tend to comment on your pages if they are fond of Facebook. Imagine you just on Facebook. Wouldn't you look at activities of your interested friends and people? However they almost on your News Feed. So if your friends recommend a content, you may wanna check it out too. But that bounds to Facebook. Hmm... but what if you can show off activities happen on your site and let readers find out what their friends doing on your site? Recently we have had a article about how to enable Google+ Direct Connect for your pages by linking your Google+ page to your site. Google proclaimed you need to link your site to your Google+ page to eligible for Google+ Direct Connect which simply means searching your business or brand page via Google search. Google offered you two alternatives in linking pages, either manually or adding a badge to your site. However you have learnt how to link your site manually. And now Google has been introduced you a self-called Google+ page badge to increase user engagement and to grow more audience on Google+ platform. You might have Facebook Like Box, Twitter Follow button already on your blog. In addition as an alternative, still you may using 3rd party Google+ widget on your website. 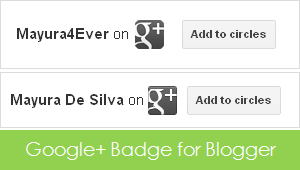 But did you implement official Google+ badge on your blog or website? You may have engaged in many social networks to reach more users to stay connected and share interesting updates. Are you managing a blog or website? As you engage in social media and willing reach more users, promoting your content on social media is another way to gain more exposure to your content. Your readers will be much preferable to receive updates on social networks they are on and it helps them to stay connected with your site. When we talk about social media, Twitter is a popular social network and a place where users follow interesting fellows to receive updates. So if you have Twitter profile where you share updates, you can add link back to your Twitter profile on your site. So readers can view your profile and follow you after navigating to your profile. But isn't it nice if you can let interested users to follow you on Twitter without leaving your blog or website? 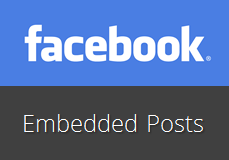 Did you integrate Facebook plugins on your blog or website? The truth is nowadays Facebook social platform is integrated with our lives. Everyone knows Facebook. Most of us had no idea about social media before this milestone in 2004 - Birth of Facebook. But now it's the place where we used to meet our friends and family to share everything in digitized format. You may have already connected with LinkedIn social network. It's a type of site where millions of professionals meet together and empower their business opportunities. There you can exchange interesting content such as tips, articles and many more with the people, as you do on other popular social media platforms. So it's another useful platform to reach wider audience and you might wanna try out. People who would enjoy your blog might also like to share your content with their own connections on LinkedIn. So wouldn't you like to let your readers share your content on LinkedIn while they enjoying it? You would be prefer to engage with social networks and broadcast your blog or website updates for your fans and follower to keep them up-to-date with your latest content. There are different kind of social channels you can think of nowadays. If we narrow down to Facebook, usually bloggers and webmasters create a Facebook fan page to send new updates of their site content and to engage with fans. 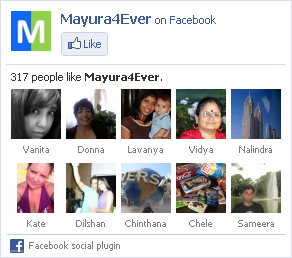 The visitors can easily subscribe for new updates by just liking the Facebook page. But for that purpose, you have to redirect your blog or website visitors to your Facebook page. 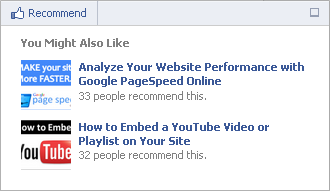 What if you can let your visitors easily subscribe or like your Facebook page while they are on your site? Google +1 button was introduced for webmasters to use it on their sites to being recommended across the web and become more transparent in the search results. As it involves with the Google+ social network, it has been adding more social features to improve the usage of +1 button for almost all users in addition to webmasters. We have discussed their previous addition Friend Annotations and HTML5 syntax in Add Google +1 Button for Blogger Posts. 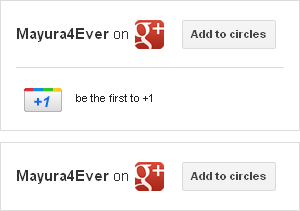 Now Google +1 button has got its new addition +Snippets and sharing capability. Let's find out how to deal and customize +Snippet. You may remember that we have discussed how to add Facebook Like button, Twitter Tweet button and Google +1 button for Blogger posts. Adding those popular buttons let your readers to share posts and convey their likes and recommendations on posts for their friends. You may add the Blogger official Popular Posts widget/element to your blog to promote your popular content to recent visitors. But do you know you can show popular buttons mentioned above along with your popular posts shown in the popular posts element?